Here is another interview that Stephanie, one of our staff, did as a feature for a New Zealand Music Month series on local Māori musicians a while back. 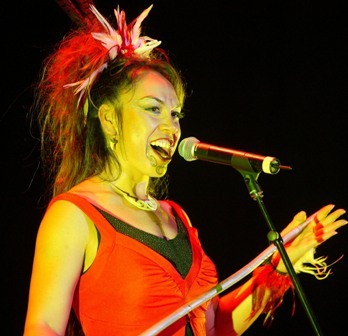 This interview is with Toni Huata, a local songstress and permformer of Ngati Kahungunu. Check it out! My name is Toni Huata from Ngati Kahungunu , Rongowhakaata, Rongomaiwahine and Lebanon, Germany, Ireland and Scandinavia. Where are you from? How long have you lived in Wellington for? I was brought up in Hastings and have been based in Wellington now for around 20 years. What’s your musical background? What instruments do you play? I’m a vocalist and performer first then producer, director and voice tutor. I play the guitar and piano but my voice is my instrument. How did you learn? What made you want to learn? Encouragement from family and friends to attend the Whitireia music course as a vocalist, which lead onto Touring Theatre Companies and eventually our own business. I also dabbled in percussion and the drums whilst at Whitireia but just for a tutu. 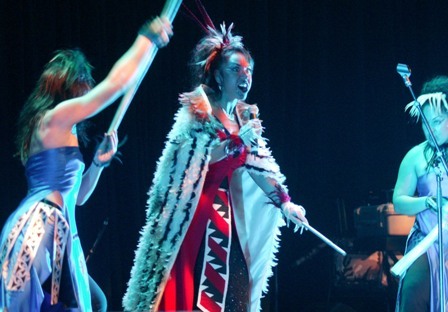 In what ways have you drawn on your Māori lineage for inspiration for your music? Every way. My family is who I am and our stories in the past, present and future is what drives my compositions and music. Are there any themes in your work? What are some of those? Family, land, culture, love, health, empowerment, loss, children, being a parent, woman and mother, all sorts of things. I’m working on my fifth album Tomokia now so you can imagine we’ve covered a lot. Where do you feel Māori music is at now? I feel Māori music is always evolving and is particular to each individual artist in how they wish to express themselves. There are Māori language artists, kaupapa Māori artists and artists that produce music not necessarily with a Māori flavour or language, but are Māori. What do you enjoy most about performing? Anything you don’t enjoy about it? I love performing and expressing myself to all. With music I find it tends to be either intimate or big outdoor festival style which require different levels of energy but always with truth. In theatre it is different again, still the truth but in support of a central story. With music the story is in each song. Big theatre productions can make me nervous but I just say my karakia and ask for help to be on top of everything and trust that all will be well. Who are some of your favourite musicians? Is there anyone you look to for musical inspiration? I love many past and present artists for different reasons. Either their voice or their stage persona. Best to see them live in concert. Who have you enjoyed working with? I’m working currently with Paddy Free and it is another great working relationship. We also worked together on my single Tahuri Mai (released on May 24 2013) and 4th album Hopukia (2012). I also love working with Gareth Farr (in RWC 2011, albums ‘Hopukia’ and Whiti and stage production ‘Maui – One Man Against the Gods’), he is so talented and is a laugh in the studio. Past producers I have had many wonderful experiences with and always a good laugh. I love working with long time collaborators and friends Charles Royal and Tanemahuta Gray. Will you be celebrating NZ music month? Yes, we are currently in studio starting my fifth album ‘Tomokia’. My single ‘Tahuri Mai’ released through DRM and Amplifier on May 24th and to iwi stations May 20th. Health, cultural, spritual and self-help books. 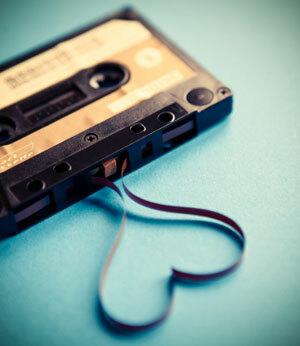 If you could listen to just one song forever, what would it be? That’s a hard one, I love so many pop and Maori songs. Are there any songs you’d like to cover? I’m covering ‘Somewhere Over the Rainbow’, a bi-lingual version, on this next album. The Māori lyrics are different to the original English lyrics but this has come by the request of many family members and friends. Do you have any up-coming Wellington gigs we can get along to? Where can we find out more? Check my website, facebook and twitter. 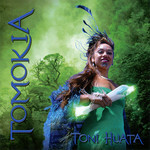 You can check out some of Toni’s albums right here at the library!